Nifty opened flat on Expiry day but saw constant buying to move towards the high of the day at 6674, but liquidation towards the end saw the index move below 6650 but still closed strong at 6641.75, huge gain of 40.35 points. The broader market was also strong, with 891 advances to 590 declines. Best support at start of the series is 6500 and resistance at 6700. 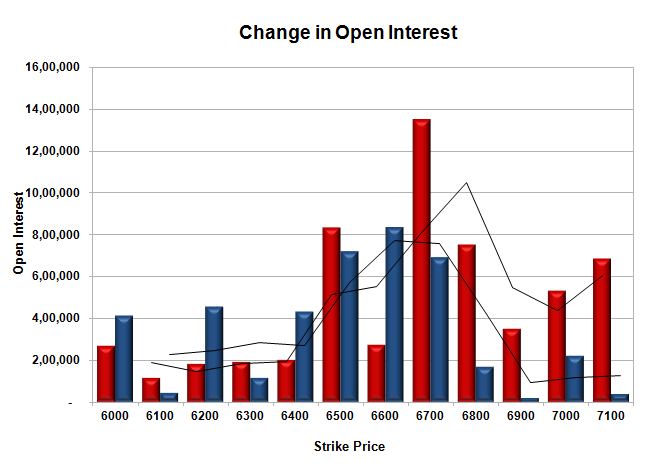 Call option 6500-7100 added 47.56 lacs huge amount of OI with more addition seen at 6400 and lower strike prices. 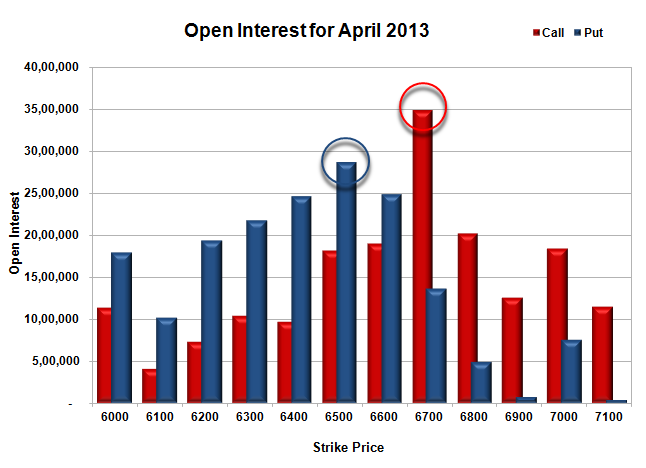 Put option 6700-6000 added 36.86 lacs huge amount of OI with more addition seen at 6800 and higher strike prices. Nifty Open Interest is at 1,60,88,750 up by 43,96,000, whereas March Series saw huge liquidation of 24.98 lacs with increase in price, 100% rollover with huge long build-up. Bank Nifty Open Interest is at 15,66,025 up by 4,25,825, whereas March Series saw liquidation of 4.64 lacs with increase in price, mostly rollover with small short covering. FII’s bought huge 10.98 lacs Futures, mostly short covering, as their net OI decreased by 312596 contracts (includes 209849 longs to 187891 shorts for the day) and the average price per contract comes to around 6639.10. FII’s future open contract as on date is 345912. PCR Open Interest (Volume) at start of series is at 0.992. Initial support at 6600, with huge addition for the day at 8.33 lacs and below that at 6500 with huge OI of 28.64 lacs. Initial and best resistance at 6700, with highest OI of 34.88 lacs and above that at 6800 with huge OI of 20.15 lacs. 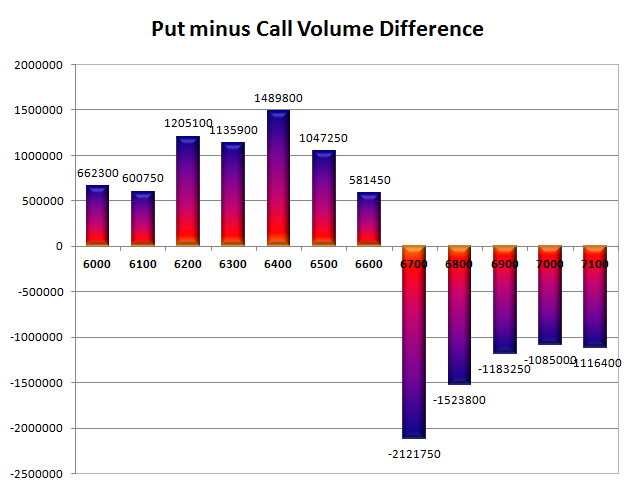 Day Range as per Option Table is 6594 - 6684 and as per VIX is 6578 - 6706 with 6638 as the Pivot.